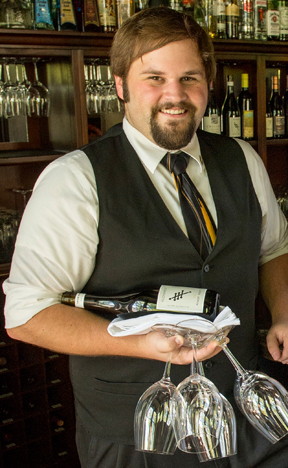 Join Winemaker Kiley Evans of Ledger David Cellars for a special winemaker dinner at Jacksonville’s Déjà Vu Bistro & Wine Bar on October 17 at 6:30pm. The event features seasonal gourmet menu items paired with a selection of Ledger David wines including the latest release of our signature Primoris Chenin Blanc. $65 per person (plus tax & gratuity). Reservations Required. Limited Seating. For more info or to make a reservation, call (541) 899-1942 or email dejavubistro@yahoo.com. 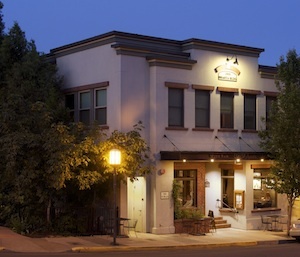 Alchemy Restaurant & Bar, located at the Winchester Inn in Ashland, Oregon strives to take fresh local ingredients and transform them into stunning cuisine. The idea extends to the wines they select and the cocktails they craft. “Everything works together to create something greater than itself,” says Drew Gibbs, owner of Alchemy. Our 2011 Malbec pairs nicely with their pomegranate marinated flank steak with grilled prosciutto wrapped peach, citrus Parmesan risotto and mixed green salad with maple and raspberry vinaigrette. The 2011 Cabernet Franc pairs well with the half rack of lamb stuffed with sweetbreads and ground veal, corn and fava bean succotash with mint chimichurri. To pair the 2010 Tempranillo Reserve, they suggest the Sous Vide rib eye with Foie gras potato apple hash, truffle butter, sunny side up egg and smoked sea salt. The 2012 Sangiovese Rose´ pairs beautifully with the endives stuffed with garlic roasted beets, candied sunflower seeds, Rogue Creamery blue cheese and shallot tarragon vinaigrette. Our 2011 Chardonnay pairs with the crab salad: fresh Dungeness crab, orange supreme, baby arugula, house made mustard aioli, and walnut oil. Liquid Assets is very excited to announce the opening of our new room and kitchen remodel. We have added a big beautiful room overlooking the creek. It will be used for meeting space, private parties and an extension of our dining and bar area. Our kitchen will be receiving its face lift July 21st. We are installing a hood system, induction range with convection oven and fryer. We are very excited with the possibilities this will open up for our menu along with the ability to start hosting winemaker dinners. Our wine at Liquid Assets is always rotating, however, one of our favorite glass pours for the summer is the 2012 Primoris Chenin Blanc. Quickly becoming a staple on the menu, the Primoris pairs beautifully with our Salmon Rillettes and Crab Cakes. If you are looking for an elegant red wine, the 2011 Dark Night, is a Liquid Assets top pick. Paired with our Sous-Vide Pork Shank, the savory characteristics of the Tempranillo, in this blend, makes for an exquisite combination.